Whereas Pakistan is the next door neighbor of landlocked Afghanistan, which is dependent upon Pakistan land routes and Karachi port for its imports and exports, Pakistan has never tried to exploit its vulnerability or to blackmail it. India, which doesn’t share border with Afghanistan, is aspiring to become the most influential in that country. It wants to create a permanent wedge between Afghanistan and Pakistan so as to eliminate Pakistan’s influence in that country altogether. While India is among the trouble mongers in Afghanistan, it hypocritically says that it is keen to see Afghanistan becoming a stable and sovereign state free from external interferences. India is instrumental in fomenting terrorism in Pakistan from Afghan soil. While Pakistan has suffered the most on account of occupation of Afghanistan by foreign troops and is the most affected country, Indian leaders are wailing that surge of violent extremism in Pakistan is affecting India and rest of the world. It is secretly supporting Tehrik-e-Taliban Pakistan (TTP) and Asian Tigers and now a new outfit named Khurasan in North Waziristan, Baloch rebel groups BLA, BLF and BRA in Balochistan. It had also been assisting TNSM under Fazlullah in Swat. Runaway leaders of TTP and TNSM based in Kunar and Nuristan are provided assistance by RAW and RAAM. While all the five collaborating intelligence agencies are involved in covert war against Pakistan, the Indian military is feverishly preparing itself to pounce upon the weakened adversary and decimate it. While the Indo-US-western media is firing slingshots at intense rate to discredit Pakistan’s premier institutions, US-NATO forces are also keeping a contingency plan up their sleeves to strike Pakistan from the west before their departure. Purpose behind covert war is to make Pakistan politically, socially, economically, psychologically and militarily flaccid so that by the time military instrument is applied, more than half the battle is won. India had applied this strategy with complete success in East Pakistan after 1965 war. In 2002, India deployed 17 intelligence units, opened four Pakistan specific consulates and set up dozens of training camps in Afghanistan to train saboteurs with the sole purpose of destabilizing Pakistan. RAW in close collaboration with CIA, Mossad, MI-6 and RAAM is involved in cross border terrorism in Balochistan and FATA at a massive scale for the last eight years. Although India has consistently denied its involvement in subversive activities, Pakistan has collected concrete proofs and has presented them to Indian, Afghan and US leaders. Stephen Cohen, Christine Fair, Laura Rozen and several other US and western analysts have also disclosed that India is deeply involved in supporting subversive forces in Pakistan. After bleeding Pakistan profusely, India suddenly had a change of heart in mid 2010 and softened its stance. Ongoing overtures of friendship by India are not without a purpose. From 26/11 till very recent, all Indian military and civilian leaders were spitting venom and were not prepared to reopen dialogue with Pakistan. The change has occurred since there are several important matters which it feels can be solved in its favor provided Pakistan agrees to cooperate. 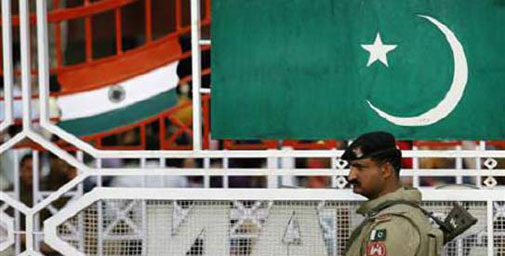 These are: Pakistan doesn’t raise any objection to India becoming permanent member of UNSC and member of exclusive nuclear club; Pakistan settles Kashmir, Siachen and Sir Creek disputes in accordance with Indian wishes; Pakistan allows India to continue constructing water dams; Pakistan grants land route to India through Wagah border to Afghanistan for trade; Pakistan doesn’t object to the US desire of making India a key country in Afghanistan after its departure; Pakistan grants Most Favored Nation status to India for two-way trade; Pakistan agrees to eliminate India specific Jihadi groups supporting Kashmiri freedom fighters; Pakistan accepts India’s hegemony in South Asia’; Pakistan eliminates ‘first strike’ option in it’s nuclear doctrine. If Pakistan agrees to all these demands, India will let Pakistan live as an independent country. If it doesn’t accept these demands, India will continue with its subversive activities to destabilize it so as to ultimately balkanize it and make it its satellite. India will never ever let go its anti-Pakistan policy since it considers Pakistan to be the sole stumbling block in its drive towards attaining big power status. Having enfeebled Pakistan considerably and finding it in dire straits, India considers it a chance of a century to dismember Pakistan with the active assistance of US and western powers. India wishes to strike Pakistan militarily before the US-NATO forces exit from Afghanistan and preferably after disabling Pakistan’s nuclear program. While Pakistan nukes pose no threat to USA, its cat paws India and Israel feel threatened and have constantly urged USA to commence ‘operation denuclearization’. But for nuclear constraint, India would have struck Pakistan by now. Stephen Cohen revealed in one of his lectures that Indian generals and strategists had told him that if only USA could strip Pakistan of its nuclear weapons, then the Indian Army could destroy Pak Army and the whole thing would be over. India’s strong economy has made its leaders headstrong, over ambitious and spendthrift. In order to defeat Pakistan forces on the battlefield, India has embarked upon another ambitious program to modernize its armed forces. India increased its defence budget in 2009/10 by 24%, raising the amount to $28.4 billion. For 2010-11, defence budget was increased by 4%, making available $36.5 billion. With expenditure incurred on nuclear production and space projects it came to $40 billion. For 2011/12, another increase of 11.59% over previous year has been made. India has imported military hardware worth $28 billion since 2000 from Russia, Israel and UK and plans to spend $30 billion on its military by 2012. Rs 420 billion are allocated for procuring multi-role fighters, C-17 Globemaster and helicopters for IAF. Rs 500 billion are set aside for six new-generation diesel-electric French submarines for Indian Navy. In 2000, the US sold arms to India for $3 billions. In last three years, India purchased weapons worth $5 billion from Israel. Indo-US civil nuclear deal has enabled India to give a quantum jump to its nuclear capability and to undermine Pakistan’s minimum nuclear deterrence capacity. India’s conventional and nuclear military capability is being bolstered by USA to make it capable of challenging China. This exercise is however at the peril of Pakistan’s security since it is gravely upsetting the military balance of power between the two archrivals. With added military muscles, India will never attack China but would certainly attack Pakistan whenever it comes across an opportunity similar to the one it exploited in 1971. India is now complaining that unless Pakistan is de-hyphenated, it cannot become an effective bulwark against China. Accordingly, the US wants to de-legitimize Pakistan’s nuclear program and is therefore engaged in undermining it. Slogan of Pak nukes falling in wrong hands is a ploy to either get hold of the nuclear arsenal with or without the intervention of UN or to destroy it. The US Special Forces have made contingency plans to steal the nukes covertly or overtly and for this purpose CIA has established a wide network in Pakistan. There is quest for peace but this desire has remained illusive for the last 64 years due to Indian intransigence and uncompromising attitude. South Asia will become a cradle of peace if the villain of peace India decides to affect a healthy change in its posture by giving up its hegemonic and expansionist designs and USA stops backing her. India is happy that its arch rival Pakistan is burning in fire of terrorism lighted by it and its strategic partners, not realizing that the flames will sooner than later enter Indian Territory and envelope whole of combustible India and reduce it to ashes. I wonder what will be the mental state of rejoicing Indian leaders when their own house catches fire.